The Nocellara Etnea single cultures aromas and tastes according to their harvest times and when the olives darken. If the olives are still green a medium to high yield with a sharp green tomato, almond, cardoon and leaves of grass is produced. These are the essences of Sicilian aromas. 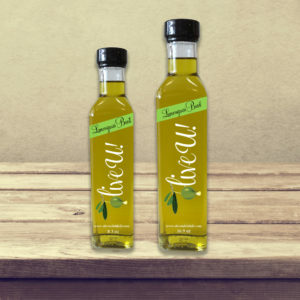 A pleasant balance harmony for your palate of bitter and spicy, renders this extra virgin olive oil perfect for any fish or meat dish.